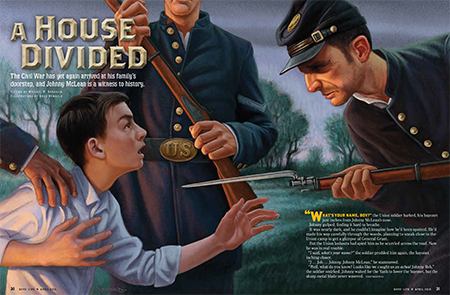 For the last several years it’s been my distinct honor to have several short stories published in Boys’ Life Magazine. Readers, librarians and teachers often ask me how they can get the stories to read for enjoyment or use in their classrooms. Now you can read them on my website! Use them in your classrooms! Read! Discuss! Enjoy! 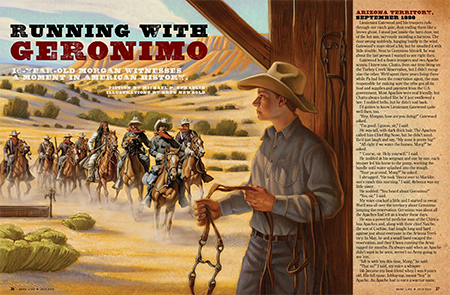 The first story I wrote for Boys’ Life was Running with Geronimo based on a true story about Geronimo’s escape and eventual surrender to the US Army in the 19th century. 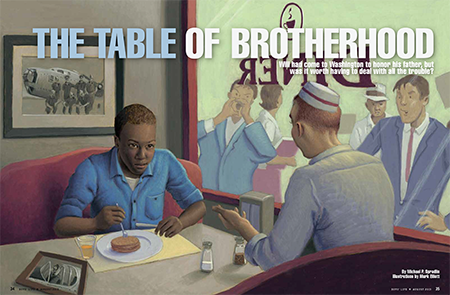 The Table of Brotherhood was written to commutate the 50th anniversary of Martin Luther King’s ‘I Have A Dream Speech.’ And finally and most recently is my story A House Divided, which celebrates the 150th anniversary of the end of the American Civil War. Click on any of the scans on the right (or above, if you're on a phone!) for full-size PDFs of the complete stories. As a young man growing up in Homer, Michigan, I was a Boy Scout and became an Eagle Scout in 1976. 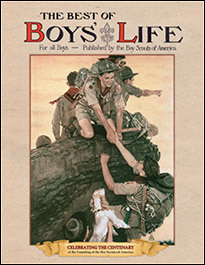 Boys’ Life was a magazine I read regularly and enjoyed immensely. And it also has a distinguished history of publishing short fiction by writers like Jack London, Arthur C. Clarke, Ray Bradbury and Isaac Asimov. To think the same magazine that published stories by these literary giants has now published three stories by me is nearly impossible to describe. I hope you enjoy the stories!